Thirteen University of Newcastle (UON) researchers have been awarded a Women in Research (WIR) Fellowship thanks to Research Advantage. The Fellowships were developed to provide a strategic pathway to facilitate an increased percentage of women in senior academic positions. 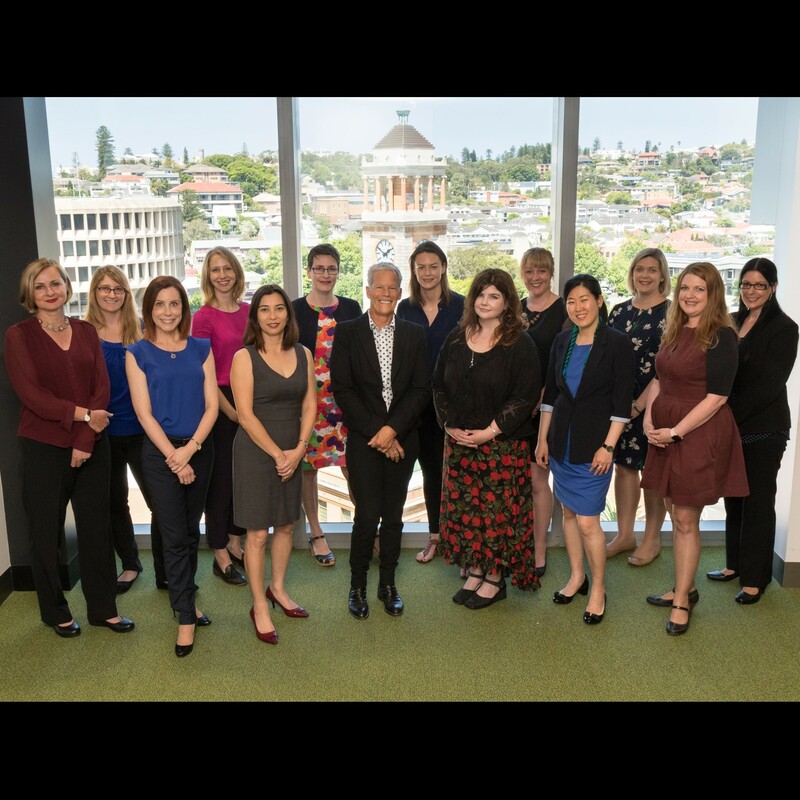 With women comprising just 27 per cent of senior academic positions in Australian universities*, Pro Vice-Chancellor (Research and Innovation), Professor Deborah Hodgson, said the WIR Fellowship is an important initiative that will foster the career development of female academics at UON. “The WIR Fellowship program has the potential to significantly change the career trajectory of recipients and support them to achieve in ways that would not otherwise be possible”. “The aim of this program is to focus support on promising female academics whose career progression has been impacted. Through addressing barriers to progression for women, UON will support our outstanding academic talent to achieve their desired research outcomes,” Professor Hodgson said. Jessica has a multidisciplinary background spanning both chemical engineering and chemistry. Jessica’s research expertise spans low emission coal (direct carbon fuel cell), renewable energy for biomass and solar thermal, along with energy storage. In 2018, Jessica will be exploring sustainable and innovative methods to produce advanced carbon materials for use in energy storage devices. Funding provided by the UON Women in Research Fellowship will aid to accelerate Jessica’s research program, and will be instrumental in establishing her own successful research group in the field of electrochemical engineering. Dr Rachel Burke, Lecturer, Education. Rachel is an Applied Linguist and Teaching English to Speakers of Other Languages (TESOL) educator and researcher in the School of Education at UON. Rachel’s work focuses on linguistically and culturally diverse educational contexts, the critical examination of policyscape, structural mechanisms for inclusion/exclusion, and praxis-driven approaches to languages and literacies education. The Women in Research Fellowship will enable Rachel to continue her work examining interventions to improve educational outcomes for learners with refugee and asylum seeker backgrounds. This timely and significant work will explore new ways of effecting positive change via relevant and responsive education to meet learner needs within the current context of the global displacement crisis. Julia’s research expertise encompasses sociology, health and the body: including a wide range of research projects such as youth body image and gender, wellbeing and identity, health inequalities and health pedagogies in education. She is especially interested using theories of the body to understand the ways body work practices are shaped by health and gender ideals. The Fellowship will enable Julia to dedicate a an intensive period of analysis of two current research projects, 'Youth, Transitions, and Bodies', and 'Everyday Embodiment', intensifying research outputs to build proof of concept for an ARC Linkage Grant to be submitted in 2019. Bernadette has a trans-disciplinary background in Ancient History, Classical Languages and Natural History Illustration. Her interest in visual humanities builds on her fascination with art and culture, chiefly focusing on the connection between ritual, art and society in preliterate cultures. Bernadette uses her research skills, developed during her BA, and her artistic skills, established during her honours and PhD in Design to contextualise ancient artworks. She seeks to find meaning by undertaking substantial field work, systematic visual recording, and employing methods based in social semiotics. While Bernadette’s past research concentrated on contextualising the artworks of the ancient Near East, with the assistance of the WIR Fellowship she will now employ the same framework of inquiry to locate, record, analyse and disseminate the Aboriginal rock engravings and pictographs of the sandstone ridge between Wollombi and the Hawkesbury. Bernadette hopes that her research will help our understanding of the earliest stages of Australia’s history and promote a sense of inclusive pride in the rich cultural heritage of this region. Rebecca’s main research focuses on the often-overlooked sense of balance. We take for granted how exquisitely well our sense of balance works, most of the time. It’s when we feel dizzy, lightheaded, and unbalanced that we suddenly realise how important this sense is for our normal, everyday activities. To understand how we maintain our balance, Rebecca uses a number of anatomical and physiological techniques to examine the relationship between the structure and function of the important cells and neurons of the balance system. By understanding of how these specialised cells work Rebecca hopes to devise therapies that replace damaged or diseased cells and develop rehabilitation strategies to minimise the effects of balance dysfunction. With the award of a Women in Research Fellowship, Rebecca has a number of goals she would like to achieve during 2018. First, she will examine balance function in diabetic patient groups which tend to have an increased risk of falls. The overall aim is to determine how balance is affected by diabetes and where the problem originates. Rebecca has preliminary evidence that suggests it may occur in the inner ear balance organs. A second aim is to advance an emerging collaboration with the Centre for Organic Electronics (COE). In collaboration with COE colleagues, she will develop an interface between organic electronics and nerve cells to replace or repair cells of the nervous system that have been injured or diseased. Kim is evaluating the efficacy of policy introductions and amendments, seeking to effect real change in the construction industry. Also exploring resilience and emergency preparedness, Kim has a proactive approach to planning for the future. As the first female Head of Discipline in Construction Management and an ECR, the WIR Fellowship affords a wonderful opportunity to provide a strategic pathway to facilitate research leadership, develop collaborative partnerships nationally and internationally, ultimately promoting the important role of women in research. Hannah’s primary research focusses on the study of coastal processes and geomorphology of sandy beaches. Of particular interest, is the hydrodynamics of waves after breaking and the implications this has for sediment transport and swash zone processes. Hannah also conducts research into coastal hazards such as tsunami. Hannah will use the opportunities provided by the Women In Research Fellowship to expand her research to include the processes and morphology of coral reefs which will complement her existing core research area. To achieve this, Hannah will assess morphodynamic change, lagoon water quality, and wave height transformation on a coral atoll in the Cook Islands. Hannah will also increase her international research profile and her research leadership potential throughout the duration of the fellowship. Hayley’s research explores the impact of obesity, exercise and nutrition in promoting or impeding inflammation and, ultimately, the effect this has on the pathogenesis of respiratory diseases. With a primary research goal of conducting high quality research that is directly translatable into clinical practice, Hayley’s dietetic qualifications afford her the unique position to devise and conduct this type of research. The Women in Research Fellowship will provide Hayley with research support to complete a first-in-world study examining the impact of exercise intensity on asthma outcomes, which will be used to inform exercise guidelines for people with asthma. It will also fund her attendance at the Thoracic Society of Australia and New Zealand conference in March 2018, to present and network with researchers in her field. Heather’s research investigates the teaching of difficult and controversial pasts, the influence of public history in teaching, historical representations in school curriculum and the written and visual texts in picture books that deal with conflict. Heather’s research has included analysis of competing representations of Gallipoli in Australian and Turkish textbooks, high school students’ perspectives on World War I commemorations, inclusions and exclusions of Indigenous Australians and British heritages in History textbooks, and staff-student research partnerships. The Fellowship will enable Heather to expand her research in looking at difficult pasts, such as those that are contested, controversial, and/or traumatic, through observation, planning reviews, and interviews with History teachers to develop a Signature Pedagogy of History Teaching project. The Fellowship will also provide an avenue for Heather to continue her project begun this year, Teaching difficult pasts in History classroom in order to develop national partnerships, continue collaborations with international colleagues, and to disseminate that research to an international audience. Kylie is developing her research in the areas of innovative teaching and learning, research preparedness, and doctoral education. She has interest in mixed methodologies and has developed a novel approach to measuring and comparing student research journeys called ‘the journey plot’. She is currently a Chief Investigator on an Australian Research Council Discovery Project on excellent researchers, trialling the use of learner profiles to enhance research learning, and is the Deputy Director of the Centre for the Study of Research Training and Impact (SORTI). Her aims for the Fellowship in 2018 are to further develop her expertise in the area of researcher preparedness through exploring contemporary models of research training and knowledge production. Emina’s research spans social, organisational and political psychology. It examines how people, groups and societies change. Emina argues that psychological transformation of the self is at the core of change – by changing identities we can change society. Her 2018 WIR Fellowship will support a novel line of work examining how leadership, identity and social change dynamics intersect to mobilise both men and women to support gender equality as a shared cause. Danielle’s primary research focusses on studying the drivers of climate variability and change in Australia and investigating how to use their insights to improve natural resource management. By using paleoclimate records, the instrumental records and Global Climate Models, Danielle is better able to assess climate-driven risks. The Fellowship will assist in boosting Danielle’s research career by extending my current profile on water and climate into a particularly exciting and promising field – dendroclimatology. During this fellowship, Danielle will be investigating the potential for the Grey Mangrove to yield pre-instrumental climate information. Importantly, the project aims to reconstruct hydroclimate in regions where our major water storages are located, which will be of great interest to industry. In-Young has developed a strong research focus in catchment management and sustainability, monitoring inundated areas using remote sensing, spatial hydrology with geospatial information systems and physical models, and land use science and modelling. With an aim of adding social value to science tools and data, In-Young offers science-informed solutions for decision-making at a local and regional level. This fellowship will help In-Young to develop a strong research basis for the Australian-based research program to measure and predict soil moisture new ways. With dedicated research time, she will work with UON researchers and world leaders to test out emerging technology and methods for measuring soil moisture and develop modelling tools to deliver timely information at the Upper Hunter for agriculture and water management. She will also explore ways to promote the state-of the-art spatial technology for earth observation for the region, and to develop partnerships with citizens and community groups to monitor our valuable land and water resources and utilise user-generated information to support earth observation system. The inaugural WIR Fellowships were awarded at a launch event at NeW Space on Thursday 26 October 2017.